Scientists at NASA’s Stennis Space Center originally developed the concept of placing a plant in a mixture of soil and activated carbon and mechanically moving air down to the plant’s roots. A working model equalled the VOC removal capacity of fifteen regularly grown interior plants. In 1990 Dr. Wolverton set about to further develop this bio-technology. The first plant-based air filter had several drawbacks. The fan motor was noisy and it was difficult to replace the plants. As a result, marketing of the filter was not successful. WES later licensed the technology to Actree Corporation, a Japanese engineering and manufacturing company. Jointly, the two companies made further refinements to the filter. 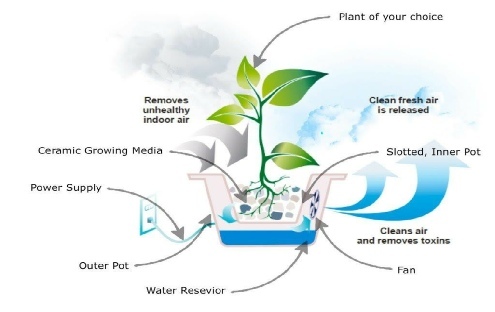 Actree produced and marketed in Japan a small portable air filter termed the EcoPlanter. The EcoPlanter employed a quiet two-speed fan and contained an inner pot that can be easily removed for plant replacement. The EcoPlanter is a great product but the company did not wish to market it outside of Japan. Thus, we later connected with U.S. Health Equipment Company to produce the Plant Air Purifier® here in the U.S. Most conventional air filtration devices in the market today use activated carbon and/or high-efficiency particulate arrester (HEPA) filters. These filters are limited only to trapping airborne pollutants and do not destroy them. These filters become saturated and rely upon a strict maintenance routine to work properly. 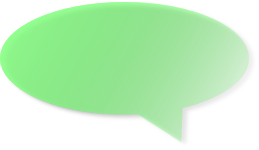 Often, due to neglect or high costs of replacement filters, proper maintenance is not done. If an activated carbon filter is not replaced before becoming saturated, toxic chemicals trapped on its surface may render the filter ineffective. Even worse, the chemicals may be released back into the room; thus, creating an even greater airborne chemical contamination in the indoor environment. 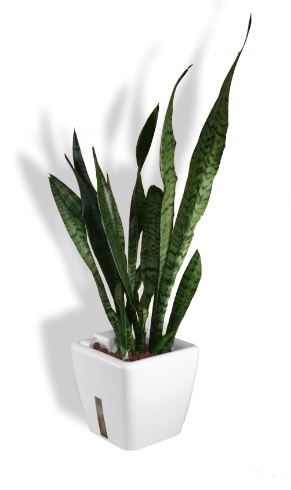 The Plant Air Purifier® system pulls air down through the growth media where the air pollutants are captured by activated carbon. The activated carbon and pebbles have porous surfaces that hold the pollutants in place, allowing microbes in the root zone to break them down into components that both the plant and themselves can digest. 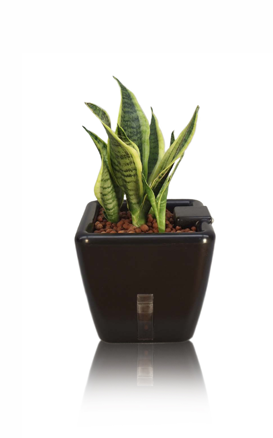 Thus, the Plant Air Purifier is bioregenerative (self-cleaning). Thus, there are no toxic-laden filters to replace. Contact: U.S. Health Equipment Co., Inc.
Let me show you how easy it is to get started with a Plant Air Purifier!! 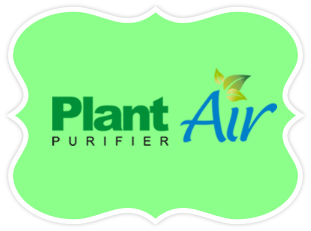 Order your Plant Air Purifier® today!! !